THALES + FRIENDS is a not-for-profit organization, based in Greece, that works to bridge the chasm between mathematics and other forms of cultural activity. To achieve its aims, THALES + FRIENDS works to create opportunities for interdisciplinary research and communication, through lectures, discussions, publications, and reading groups. 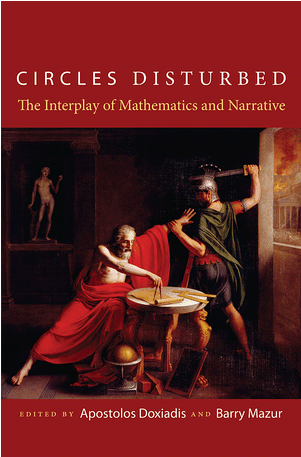 Circles Disturbed brings together important thinkers in mathematics, history, and philosophy to explore the relationship between mathematics and narrative. The book's title recalls the last words of the great Greek mathematician Archimedes before he was slain by a Roman soldier--"Don't disturb my circles"--words that seem to refer to two radically different concerns: that of the practical person living in the concrete world of reality, and that of the theoretician lost in a world of abstraction. Stories and theorems are, in a sense, the natural languages of these two worlds--stories representing the way we act and interact, and theorems giving us pure thought, distilled from the hustle and bustle of reality. Yet, though the voices of stories and theorems seem totally different, they share profound connections and similarities.